Nike Nike Air Foamposite One "Floral"
Nike Air Foamposite One "Floral"
To celebrate Valentine's Day, the Nike Air Foamposite One will sport a black Foamposite shell covered in a multi-colored floral graphic on the entirety of the upper. Additional details include gold metal Swoosh dubraes secured onto the laces with a smokey translucent outsole to complete the look. Release date is Feb. 14, 2019 at a retail price of $230. 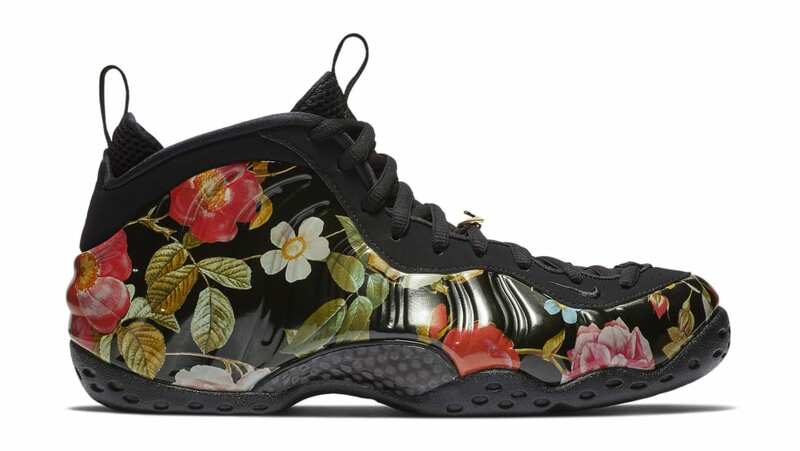 News Nike Air Foamposite One "Floral"